The Portal SmartBusiness caseTM features a new and innovative patented system that makes business travel much easier. It features a front access system making the contents fully accessible from the front of the case. The front compartment features dedicated laptop and iPad pockets as well as a built-in organizer for small accessories. It also has the versatility to be divided, organized and packed from the middle using the traditional center access zipper. Having front & center access zippers make the Portal SmartBusiness caseTM both flexible and versatile. The Portal SmartBusiness caseTM comes with a built in three-digit combination TSATM lock, and features a four wheel spinner system that allows for effortless gliding in different terrains. 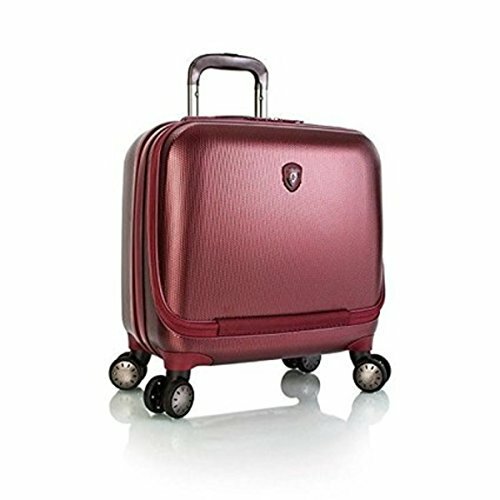 The combination of the SmartLuggageTM system, spinner wheels, a lightweight telescopic handle system, water-resistant zippers, and multi-riveted top and side handles comprises one of our most durable luggage designs. Dimensions: 18" x 16.5" x 9"
If you have any questions about this product by Heys, contact us by completing and submitting the form below. If you are looking for a specif part number, please include it with your message.